Name Removed From Latest Mae Young Classic Announcement, Zelina Vega Cleans Out Her WWE PC Locker - Wrestling Inc.
- There was an announcement earlier today by WWE revealing four more participants in this summer's Mae Young Classic: returning competitors Mercedes Martinez and Mia Yim, Killer Kelly from Portugal, and Crystal from the Philippines. All mentions of Crystal in the article have since been removed. "Twenty-four-year-old Crystal, the self-proclaimed "Queen of Philippine Wrestling," has competed throughout Southeast Asia, including in Thailand, Singapore and Malaysia, since making her debut in February 2016. Sporting a wrestling ring tattoo on her arm, Crystal developed a love for sports-entertainment in her youth when she would watch WWE with her grandmother. A highflyer inside the squared circle, she was discovered by WWE officials during a scouting trip to the region in 2017." 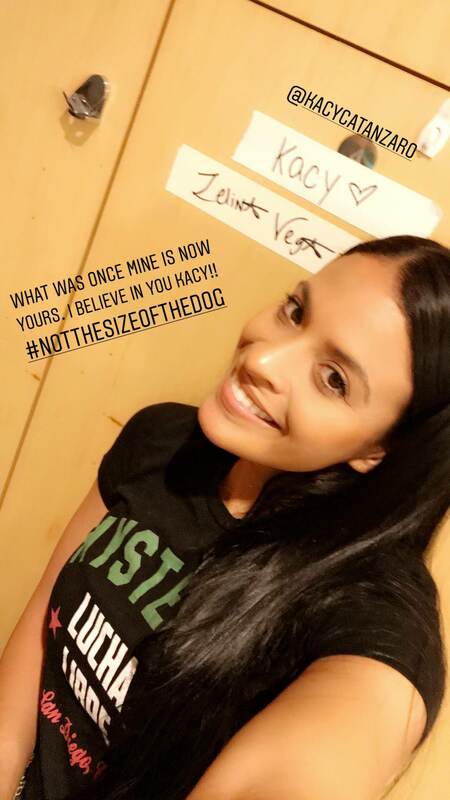 - After joining SmackDown LIVE last April alongside Andrade "Cien" Almas, Zelina Vega cleaned out her locker at the WWE Performance Center on Thursday. She passed on her locker to NXT wrestler Kacy Catanzaro. Catanzaro, a former competitor on American Ninja Warrior, was recruited into the WWE Performance Center in January and made her wrestling debut in April at an NXT live event in Sanford, Florida. WWE announced last week that she will be competing in the Mae Young Classic.